or years we’ve been checking the time by pulling our phones from our pockets, but now we can finally check the time right there on our wrists. Who’d have thought of such a new invention? Poor jokes and sarcasm aside, smartwatches for men aren’t your father’s timekeeping watch. They’re the latest must-have product of scaled-down technological brilliance. The smartwatch is growing in popularity. With every couple of lifted beer glasses, scratches of the head and waves goodbye, your eyes are likely to be met with the gleam of one of these exceptional watches. Many men will have been put off by their price tags, especially when they surfaced on the market. However, many more companies have hopped on the smartwatch bandwagon and produced similar gadgets. That means it’s not impossible to find quality smartwatches for men at affordable prices. Don’t believe us? Challenge accepted. Keep your wagers to yourself for just a moment. The Men’s Gear team have rallied around on a search for the best smartwatches for men we could find. Then we decided to find the ones at or below $150. Our search was undoubtedly a bit like the search you make for your current watch before that important dinner date. We looked high and low. Finally, we were able to put together this post that will let you in on all the smartwatch lingo and important information. This is topped off with our carefully selected shortlist of the seven best smartwatches for men – each one, as promised, is less than $150! Can You Really Get An Awesome Smartwatch For Under $150? Ask an Apple smartwatch owner how they know it’s midday. They probably can’t tell you because the battery will have died by then. What we’re trying to say is that expense doesn’t always equate to seamless use and flawless designs. Some of the cheaper, simpler and fewer complex smartwatches can outperform more expensive models. This mostly occurs with the convenience and even features of them. We’re not saying this as a blanket statement. Undoubtedly, there are some high-end smartwatches that cheaper models – especially sub $150 smartwatches – cannot compete with. Nevertheless, it’s definitely possible to find awesome smartwatches for men for less than 150 big ones. In fact, you could say there are seven possibilities. Some of which are available for as little as 20 dollars! You’ll need to have a firm idea of what you want a smartwatch for. Choosing a smartwatch with specific features and without the craziness that isn’t needed for you, is the easiest way of narrowing your search. It’ll help you when you’re looking for a wallet-friendly smartwatch. Often guys will hunt down the best and most expensive watches available to fit their criteria. How about turning that on its head and using your criteria to tick off your checklist and find a watch? Sounds obvious, right? By doing this, you’ll hunt down a watch that just works for you. This will happen rather than an overexuberant watch with features you don’t need or would ever use. How Big And Heavy Are Smartwatches For Men? The cheaper smartwatches for men are hardly any different to the expensive models in terms of weight or dimensions. In fact, our research suggests that the cost of a smartwatch is not the best indication of how big, small, light or heavy the watch is. A great example is the first watch we’ll show you here- the most expensive in our post but actually has one of the smallest displays. The display in question is 1.2 inches but other smartwatches below 150 dollars can range up to 1.5 inches and above. The size of the display is an important consideration for many men and the fact this isn’t influenced by cost is great news! When it comes to weight, no smartwatch is going to weigh your arm down. They’re all very light. The cheaper smartwatches for men we’ve got in store for you range from below one ounce up to ten ounces. We also noticed that our more expensive picks do seem to weigh a little less. Meanwhile, costlier ones in general also seem to be lighter. Does this really matter when the weights are so featherlight in the first place? We don’t think so. What are the main features of Smartwatches under $150? If you use your checklist to find your perfect and much cheaper smartwatch, there’s every reason you’ll get all the features you’re after. 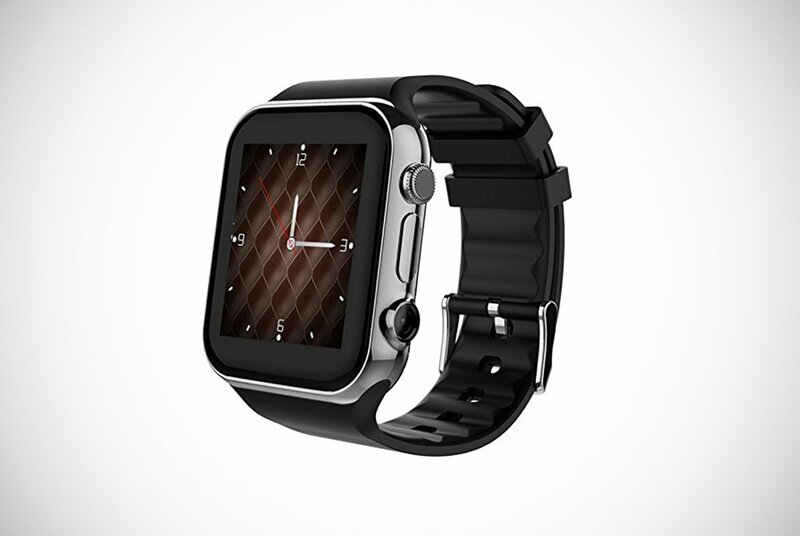 Many smartwatches within this price bracket still have many outstanding capabilities. It’s not uncommon to see health and activity-based features on these smartwatches. You’ll see things like a calorie counter, exercise tracker, and even a feature to alert you if you’ve been sat stationary for too long. 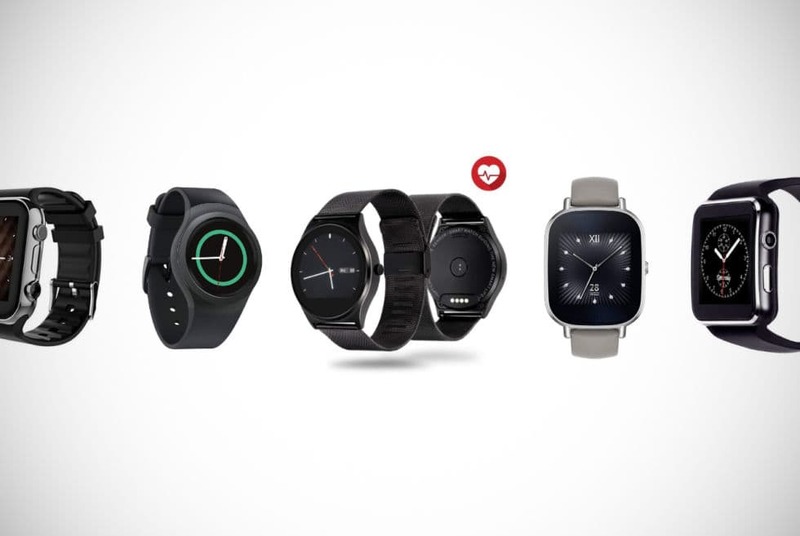 Depending on the settings, these watches will alert you so you can get moving. That is even if it’s a short trip to drop off a file with a colleague or time to take the dog for a walk. These smartwatches may actually be helping our posture and preventing muscular issues from developing. Whether you’re an exercise enthusiast or regular Joe, these health features can benefit everybody. They’re also great for businessmen and students to keep on task or to help plan their week, work and deadlines. These watches may have calendars and a calculator. They may even have a voice recorder to relive the 4:00 p.m. Friday meeting where you were busy dreaming about the upcoming beers with the guys. At least you’ll get all your boss’ or professor’s emails right at your wrist! These products are an extension of your phone in many cases and you can expect to encounter the same capabilities on quality watches, even these cheaper ones. You’ll be able to take photographs and make use of third-party apps and social media and their push notifications here too. There are some features that aren’t as common, but you can find some with sub-150-dollar models and on some smartwatches nearer the 20-dollar mark. One of these features is a talk-to-text capability, which will allow you to reply to your dinner invitations and Friday Night Football crew on the move. If you do lose or have your smartwatch stolen, many come with a feature to help track it down. There’s also one with a unique charging method. However, that one’s up next so we’ll keep that to ourselves for now… ready? Yes, we have even managed to source recognized brands such as Samsung on our economic list of the best smartwatches for men. This stainless-steel Gear S2 smartwatch has a very modern design. Its traditional circular face offers a smaller-than-most 1.2-inch touchscreen display. The display might be a little smaller than others we have to show you, but the rotating navigation bezel makes up for this. That means you’ll never be cranking your neck to see who’s emailed. Simply rotate with your other hand and read your message through the scratch-resistant gorilla glass. If you do get sick of the design, that’s no problem. You can switch this watch’s bands and customize its face for a new look on each occasion. The watch is even dust, water, and sweat resistant. What can it do? The smartwatch can be paired up with your Android or iOS device via Bluetooth connectivity. Once you’re all set up, you’ll be able to stroll through the city park or the shopping precinct. All while checking your watch for texts. You can reply to those messages of yours and keep up to date with the latest news stories. There are also some other nice features such a heart rate monitor, calorie counter, and activity tracking. It even has prompts to be more active if you’ve been sitting for too long. These features combined with sweat-resistant manufacturing makes it an exceptional option for sporty guys. We’ve saved one of the best features for last. As you’ll discover, a lot of these watches have similar core features and only minor aspects set them apart. 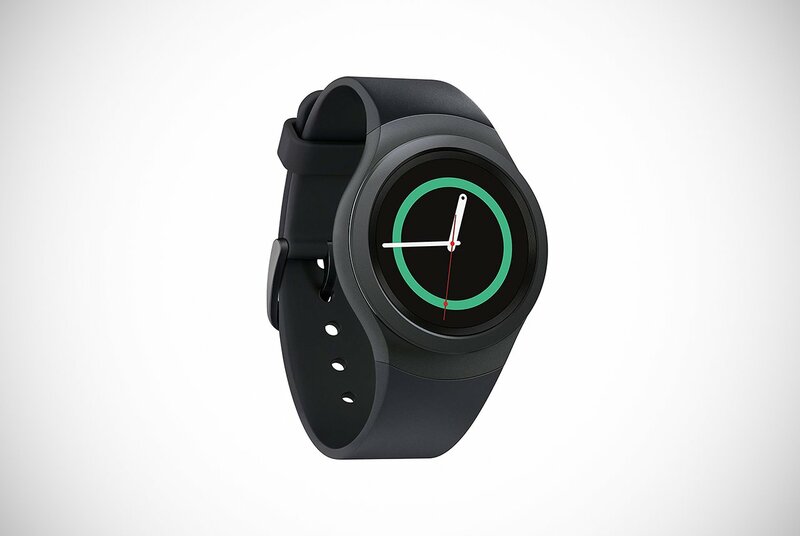 This additional perk really gives the Samsung smartwatch an early lead. It comes with a wireless charging dock. After a hard day at the office, you just place your watch on the platform and it’ll start refueling. 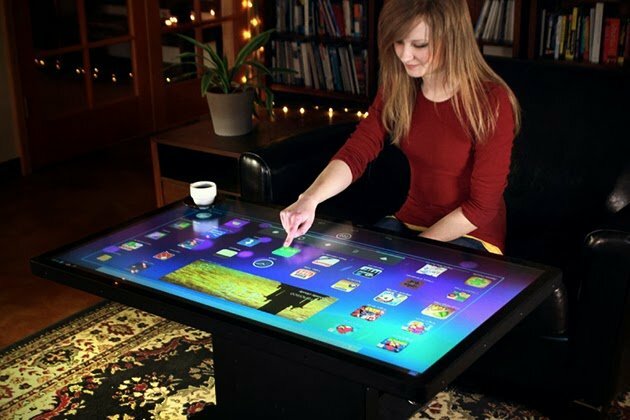 No messy and broken wires here and your home will feel like a spaceship with these sort of gadgets. Dang, 30 points to Samsung! 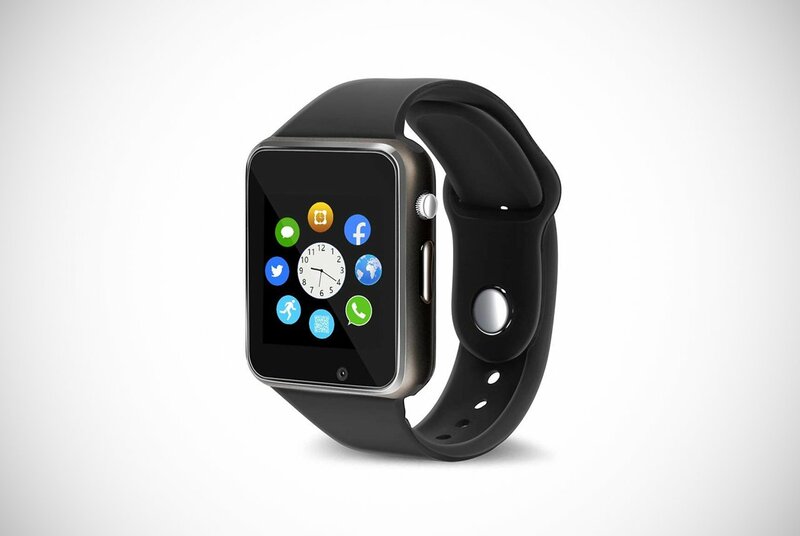 This smartwatch by ASOON has a 1.54-inch touchscreen display on a stylish square face at a fraction of the price. In fact, it is the cheapest we’ll showcase and is great evidence that cheap doesn’t mean naff. 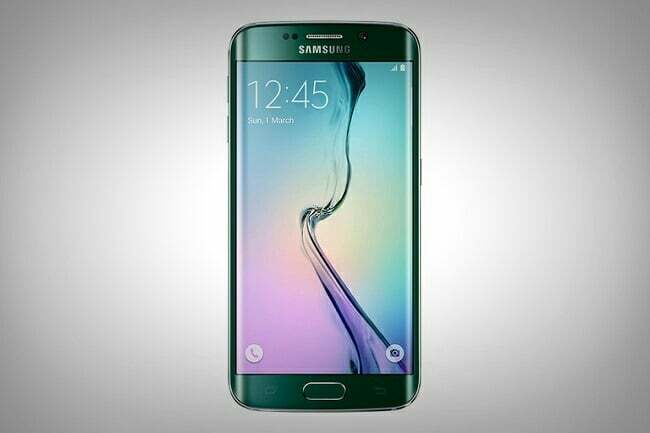 It can even do some things that the Samsung – the most expensive here – cannot. For starters, these smartwatches for men can connect via Bluetooth or you can insert a SIM card for network connectivity. One important thing to know is that this watch supports Android devices but won’t marry up with iOS phones. Those Apple people never wanting to join in. Nevertheless, it can make and receive calls and texts, monitor your sleep quality, and wake you up in the morning. It can even let you flick through images, record meeting minutes, and take photos. On top of this, you can get your email and social media notifications without the need to download any memory-consuming apps. Remember your Nokia 3310? They don’t make batteries like them anymore. We aren’t about to say this smartwatch will still be active after a year in a dusty drawer. However, its one-hour charge gives you three hours of calls or six hours of music. This is pretty impressive by today’s standards. Did we mention it’s only 20 dollars? If you’re a guy who wants to test the smartwatch waters before jumping aboard, this is a great place to start. We’ve decided to feature something a bit different for this pick. 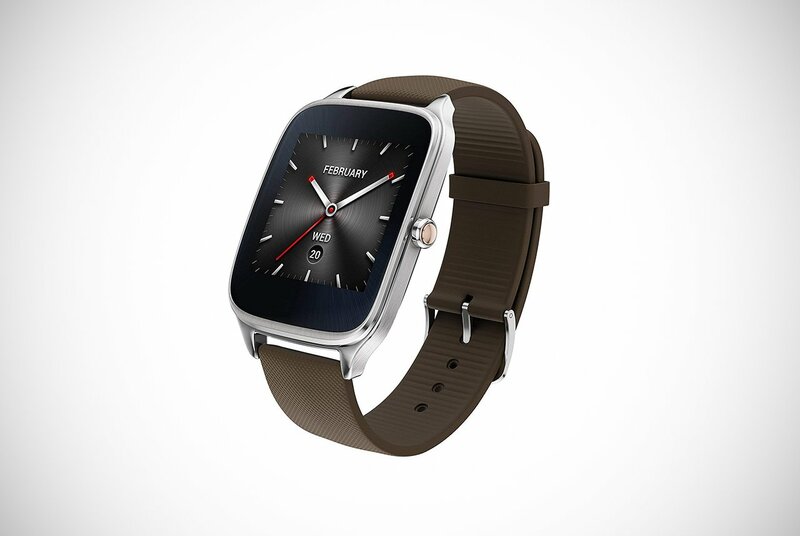 The Asus ZenWatch 2 here is a refurbished model which has been made to look brand new. Despite not being a traditional watch, you’ll still be getting a second hand (sorry!). While some men may be skeptical of refurbished products, this watch goes through some rigorous testing, cleaning, and inspections prior to being deemed worthy for purchase. It also comes with a 90-day warranty might for reassurance. A lot of watches on our list of the best smartwatches for men come in a sleek black. It seems that this simple color makes for an impressive design. This smartwatch is a bit different. It looks more conventional and from a distance, you may not even notice you’re looking at a smartwatch. That goes for all the three color combinations on offer. Other features to take note of are anti-scratch glass, a 1.45-inch display, and elegant curves your girlfriend will be jealous of. The watch will pair with iOS and Android phones via Bluetooth connectivity. The best way to describe it is as an extension of your phone. Your apps and all the usual things on your phone will be operational on the watch. One of the unique features with this watch is a talk-to-text capability. Who’d have thought that talking to your watch in the middle of downtown wouldn’t make you look crazy? Instead, you’ll be a Bond-like secret agent with a gadget to envy. This is also the most water-resistant watch in our line up and can even be taken into the shower. Many Men like to keep your watch on their person at all the time. For those men, this will be the best choice. However, you’ll probably prefer it if you don’t plan on pairing it with an iOS device as its functions become limited. This smartwatch by DAWO is not a typical smartwatch-looking design. They’ve opted for the sleek black look. Its design is the halfway house between minimalist watch and smartwatch. This undercover smartwatch has some nifty features too. Once you’ve connected either your iOS device (7 +) or Android phone (4.3 +) via Bluetooth, you’ll have an array of capabilities right from your wrist. This includes a heart and sleep monitor, and a sedentary reminder to keep you active. There’s also a camera to capture the kids on a family holiday or to capture Dave’s childish pranks on that guys’ night out. This is in addition to the usual alarm clock, calorie tracker, and push notification option for your social media, emails, and messages. All of which are protected under a lifetime warranty. 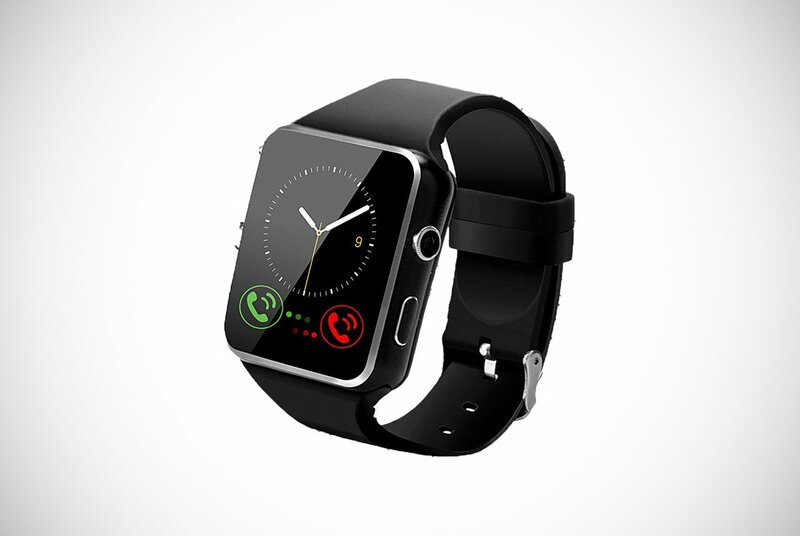 The general features available with these smartwatches for men are tremendous and make many men interested in buying. This smartwatch is a great idea or gift for any man who wants a multifunctional and sleek undercover gadget for their wrist. Among the cheaper smartwatches for men comes out in the 321OU. 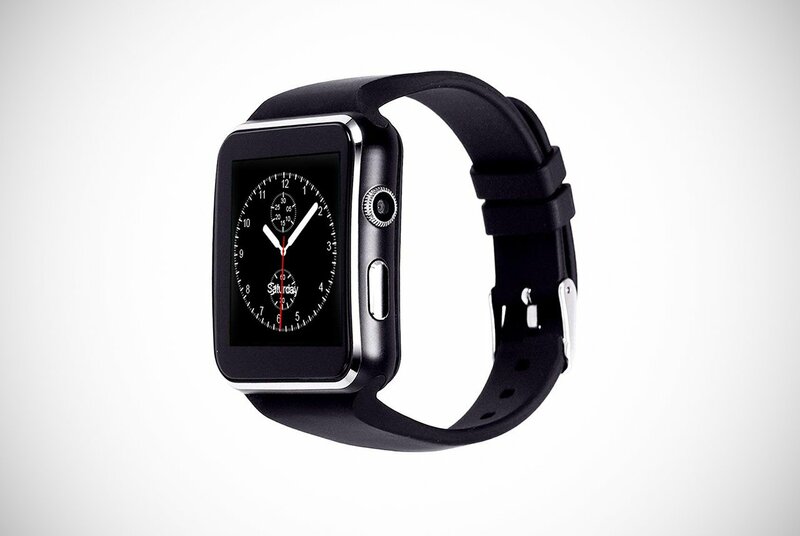 It truly oozes the classic smartwatch look too. It’s available in many monotone colors that complement the square display. There’s also a Nano TPU85 soft strap which makes it very comfortable to wear. 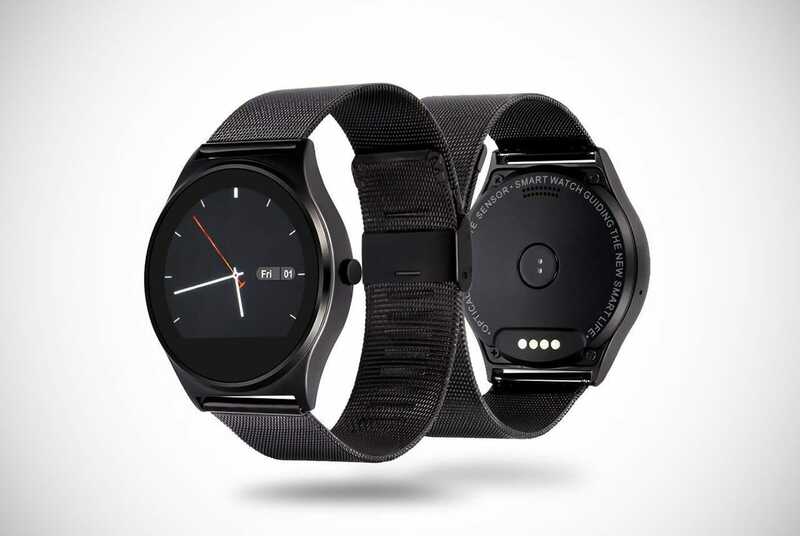 You can connect both iOS and Android phones with this watch via Bluetooth or simply add a SIM card. Although some of its features are withdrawn when matching it with iOS devices. What will it do for you though? It’ll record sound so you can re-listen to meetings or could be really useful for hungover students in 8:00 a.m. lectures. This is accompanied by everything but the kitchen sink. That means image viewing, a music playing facility, an alarm clock, a calendar, a sleep monitor, a camera, a mileage tracker, a calorie calculator, and push notifications. It’s also sweat and rain proof but we don’t recommend jumping in the shower or sea with it. It shouldn’t come into contact with hot water and shouldn’t be submerged into any water. There’s definitely a lot of watch for little money here. This makes it a great introductory watch for guys just joining the smartwatch revolution at caution. It even helps young men who want an extra hand to pass exams. Some people have stated it actually doesn’t work with iOS – confusing! One of the sleekest smartwatches for men is this Scinex model, which is as functional as it is eye-catching. It has a 1.5-inch touchscreen that can display different faces. This happens by simply downloading an app and opting for your favorite design. All of which can be enjoyed through an Android or iOS connection. If you want to take advantage of SMS, email, and calling, you’ll need to download the Fundo Wear App and have an Android device. Sorry again Apple users, you’ll be starting to feel a bit cast aside by now. Other features that both types of device owners can enjoy are an anti-lost function to locate your stolen or misplaced watch. It also comes with a music player, an audio recorder, a media center, an exceptional 16GB memory, calendar, alarm clock, and sleep monitoring. The only disappointing thing about it is that doesn’t allow you to download third-party applications. We’d strongly recommend owners of an iOS phone shop elsewhere, but Android users may find this to be a very multifunctional and stylish smartwatch. They’ll feel it’ll be as helpful in the office as it will be enjoyed on a much-deserved city break. To finish off our round up of the best smartwatches for men, we decided to finish as strong as The Rock. This slender black watch has a whopping 1.54-inch display, which makes it one of the bigger displays on any smartwatch out there. The straps can be adjusted to your size, but they can’t be swapped like the Samsung watch back at our start line. You do have the option of connecting to any device with Bluetooth or you can choose to add a SIM card. Unfortunately, iOS phones again have been left out and owners will only be able to enjoy texting, calling, or their playlist via Bluetooth. Androiders, on the other hand, will have full access to these features plus all the others. Those features include a facility to track your phone’s whereabouts in case it’s stolen, a good camera, sedentary reminder, calculator, sleep monitor, calendar, and alarm clock. All to be enjoyed with the assurance of a lifetime warranty. What’s not to like guys? This will make a nice gift and the larger display makes it great for men with eyesight issues. For the cheap price, you can’t go wrong. Challenge completed? Bet you’re glad we encouraged you to hold off making that bet now. These seven smartwatches for men prove that you don’t need to break the bank. You can find a fantastic product to rival some of the most expensive smartwatch providers, without question. If you’re an owner of an Android phone, you’ll have no problems in finding one to suit you perfectly. However, our carefully researched list suggests iOS owners may need to compromise slightly if they’re not prepared to fork out for an Apple smartwatch. We don’t blame you! We hope you managed to see something suitable for your needs. Welcome to the smartwatch movement. You’ll look down at your wrist more, but you certainly won’t look back. 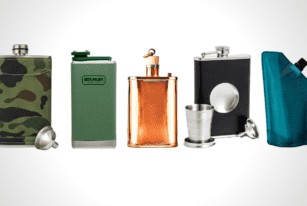 Whether you like a tipple when out with the boys, or just like to have one handy for a pick me up, you're sure to find a quality mens hip flask from our list of 19. 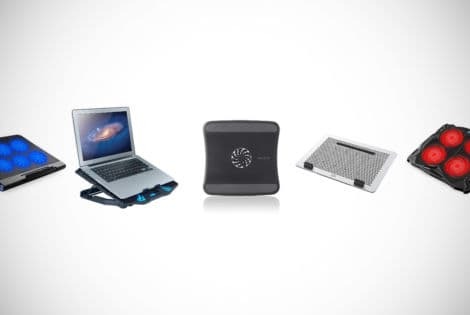 Protect your laptop and still make your deadline with one of the best laptop cooling pads on the market. 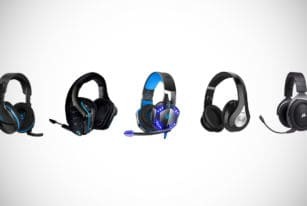 These products are great for all laptops including gaming models! 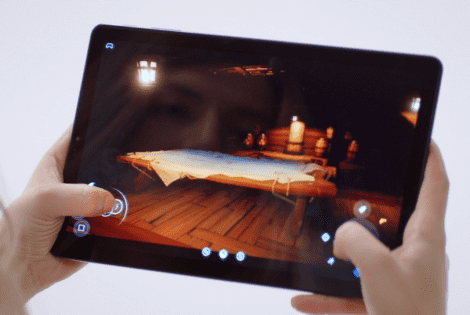 According to insiders, Microsoft Xbox Project xCloud engineers are taking the Xbox console apart and transferring it into a custom blade server.